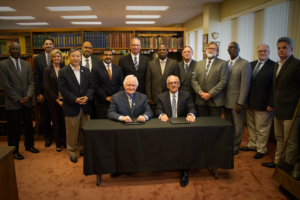 In an effort to further develop and equip its leaders, the Church of God of Prophecy (COGOP) has signed a “Memorandum of Understanding” agreement with the Pentecostal Theological Seminary (PTS), expanding educational options for the Church’s leaders and members around the world. 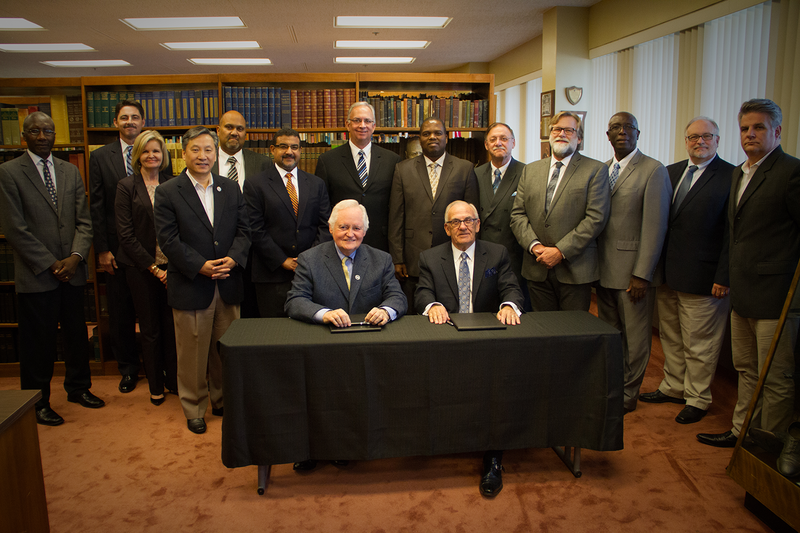 Bishop Sam N. Clements, general overseer of the Church of God of Prophecy, and Dr. R. Lamar Vest, president of Pentecostal Theological Seminary, signed the agreement Tuesday at the COGOP International Offices in Cleveland, Tennessee, surrounded by the Church’s General Presbyters and International Offices staff. 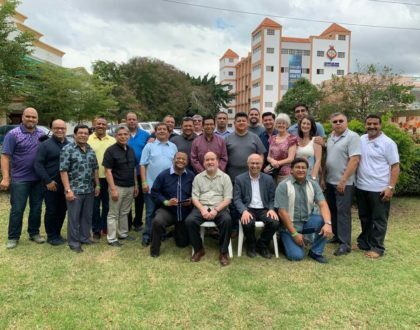 The new agreement will see increased promotion of the seminary at Church of God of Prophecy events, scholarships and the option of cohort groups around the world offering certificate programs, graduate studies and even a doctorate of ministry. 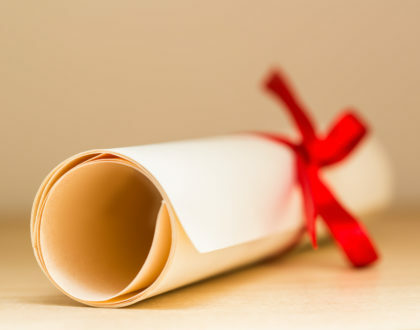 The programs will include: Diploma in Wesleyan Pentecostal Ministry (90 units), Master of Arts in Christian Ministry (48 credit hours), Master of Arts in Counseling (48 credit hours) and Doctor of Ministry (36 credit hours). Vest also remarked on the new partnership being a homecoming of sorts for the seminary, which is a Church of God institution, and the Church of God of Prophecy, a sister organization, both headquartered in the same city. Vest said the seminary offers the chance for COGOP members to learn from instructors in the Wesleyan Pentecostal tradition. The Church of God of Prophecy has educational arms already active, such as the Center for Biblical Leadership and agreements with Lee University Online and Massachusetts-based Gordon-Conwell Theological Seminary, which will continue. 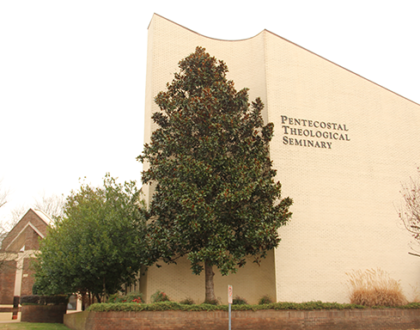 Brian Sutton, an alumnus of PTS and lead pastor of Peerless Road Church in Cleveland, Tennessee, is serving as partnership coordinator and program coordinator for the COGOP along with Dr. David Han, vice president of academics for the seminary. “With this, we can go into any part of the world and offer certificate, graduate, and post-graduate programs. With our focus on reaching the young harvest and developing them into leaders for the Church, this is a tremendous inroad to that,” Sutton said. Dr. Han also said he was “personally and professionally” excited about the agreement. Along with Bishop Sutton and Dr. Han, additional members of the steering committee include Bishop Clements, Dr. Vest, Dr. J. David Stephens, Bishop Tim Coalter, and Bishop Clayton Endecott. The first classes under the new agreement will launch in the fall of 2016, following recruiting and promotions that will culminate at the Church of God of Prophecy’s International Assembly in July 2016 in Orlando, Florida. More information will be forthcoming and available at www.cogop.org.